President Kelley will not be attending this Tuesday's meeting but she would like to remind everyone to continue saving the date for Roses for Rotary. Don't forget Valentine's Day is coming up quickly too (Linda, Doug & I will be at Pizazz to serve your floral needs to spoil your loved ones). *Shivers* it's my hope that today's newsletter is able to provide you some warmth after the frigid week we've just had. Roger will be chairing this week's meeting as we welcome Dave Bakker, police coordinator from Chatham-Kent Crime Stoppers to breakfast this week. Dave is a former Toronto Police Officer who appreciates the lack of traffic congestion Chatham-Kent provides. With all this cold weather though, he is reminiscent about riding a police motorcycle with a side car daily regardless of the weather. 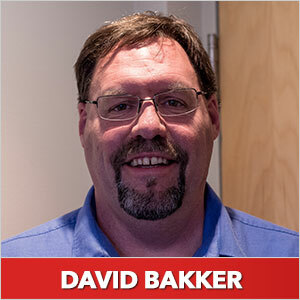 Dave is responsible for the daily operations of Crime Stoppers as well as assisting the Board of Directors with marketing and promotion. He enjoys speaking to community groups and schools, so we look forward to hearing from him! Unfortunately, due to illness I was unable to attend last Tuesday's meeting, however I would have loved to hear Mark's presentation (if only we could Skype our meetings). As Sheila and I were talking about a few weeks ago, she has a son who studied Forestry at Fleming College and I have a little brother studying Outdoor Adventure & Recreation, so we're familiar with a passion for nature and the outdoors. If you have any questions you'd like me to ask Margaret Schleier Stahl to be featured in the Sunriser please let me know.